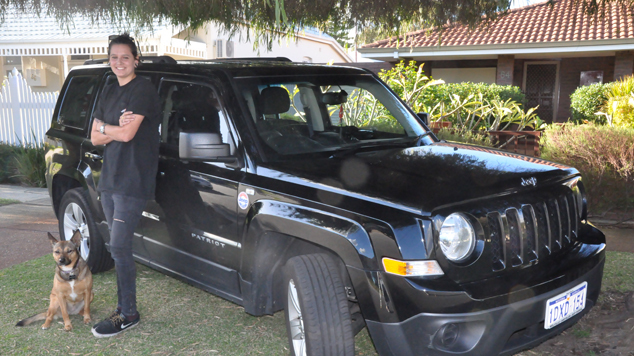 If you could judge someone by the contents of their car, what would we think of the Perth lesbian community? Ebony Drane is a local girl that has a pretty awesome set of wheels, a Jeep Patriot, to be exact. She explained to us what you can find out about her from her car. Whether this makes Ebony a stereotypical Perth lesbian, you decide for yourself. My dog Zeph – always riding shotgun! What also makes the cut for Ebony’s car? Lottery tickets, a spare Casio watch, ID and Hula Girl Cigars. Interesting.